Mix the tahini, the olive oil, the lemon juice, the black pepper, the minced mint and garlic in a bowl and put aside. In a larger bowl put the chopped zucchini, eggplant, onions and mushrooms. Try to cut them into cubes similar in size. Make a small incision on the side of the cherry tomatoes and add them in the bowl. Pour on the veggies 2/3 of the tahini sauce, mix well and put in the fridge for at least one hour. Keep the remaining tahini sauce aside. Just before grilling take out the veggies and put them on the skewer sticks. Discard the remaining liquid. 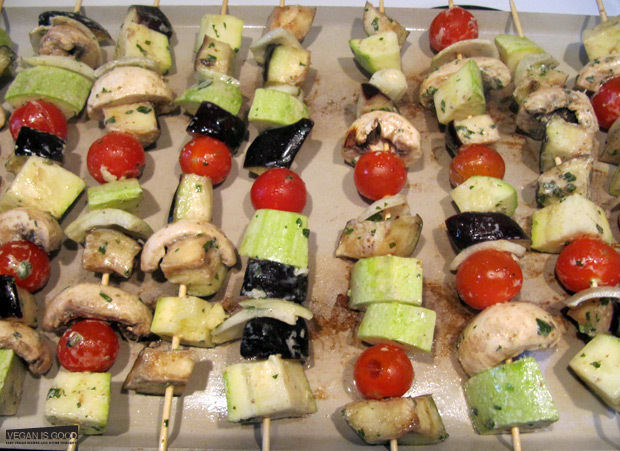 Put the skewers on a hot grill and cook until the zucchini and the eggplants are tender – the rest cooks faster. Put them on a plate, pour the remaining tahini sauce on top and serve. 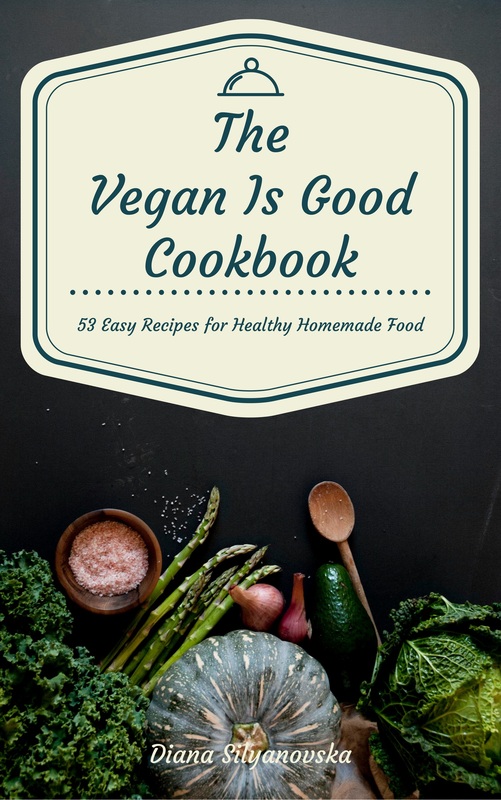 Bon appetit and Vegan Is Good!